All matter (the human body, air, water, etc) is made up of molecules which are made up of atoms which are made up of three types of particles: protons (positive charge), electrons (negative charge), and neutrons (no charge). Electrons orbit their molecules like planets revolve around a star. Occasionally an electron flies off and when it does, it leaves behind a positively-charged ion whose sole purpose in life becomes to fill the void left by its little lost electron. In other words: it wants to steal a replacement electron from another molecule. Due to differences in molecular structure (number of electrons in the outermost orbit, strength and structure of electron bonds, etc) some materials lose electrons much more easily than others. 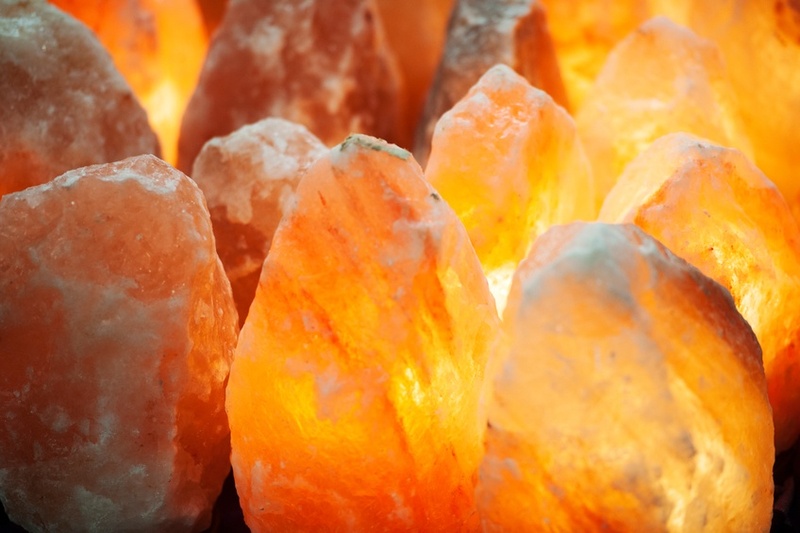 With this basic understanding of the behaviors of positive and negative ions fresh in your mind, let’s take a look at the top 10 benefits of the Himalayan Salt Lamp. Himalayan salt lamps purify air through the power of hygroscopy, meaning that they attract water molecules from the surrounding environment then absorb those molecules – as well as any foreign particles they may be carrying – into the salt crystal. As the HPS lamp warms up from the heat produced by the light bulb inside, that same water then evaporates back into the air and the trapped particles of dust, pollen, smoke, etc remain locked in the salt. 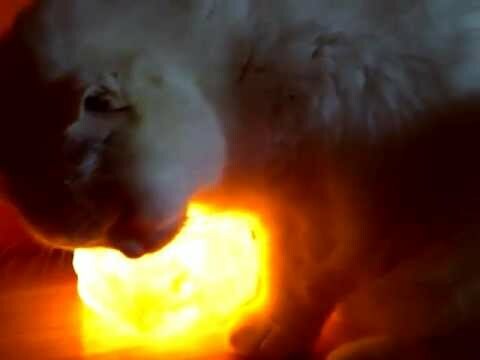 Because Himalayan salt lamps remove microscopic particles of dust, pet dander, mold, mildew and the like from the surrounding air, placing a lamp or two in the rooms where you spend the most time can seriously cut back on allergy symptoms. One of the health detriments of breathing lots of positive ions in the air is that the cilia (microscopic hairs) which line the trachea (aka: windpipe) become sluggish and don’t work as well to keep contaminants out of our lungs. As a Himalayan pink salt lamp absorbs water and particles from the air, it also takes positive ions with them. Then, when the heated salt releases cleansed water vapor back into the air, it also expels negative ions which have the opposite effect on our airways – increasing cilial activity to keep your lungs clear. t’s not a coincidence that these are all activities which expose us to increased concentrations of negative ions such as those generated by Himalayan salt lamps. The fact is, positive ions sap our bodies of energy. Unfortunately, it’s all too common for us to try to diagnose the problem as something else entirely. Nowadays, most of us are living in a metaphorical ocean of electromagnetic (EM) radiation which flows from our electronics (ie: television, computer, cell phone, tablet, appliances, sterio, etc). While they may be invisible, the long-term effects of EM exposure can be quite serious. Constant exposure to EM radiation is known to increase stress levels, cause chronic fatigue, and decrease the body’s immune response, among other things. Another side effect which results from over-exposure to positive ions in the air is that it robs you of quality sleep. This happens because those positively-charged particles can actually reduce blood and oxygen supply to the brain resulting in irregular sleep patterns. 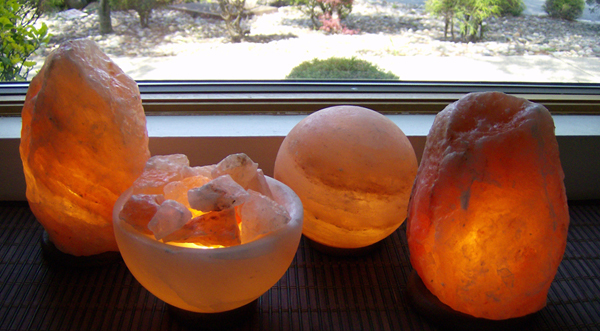 Himalayan pink salt lamps are natural negative ion generators, thus they can help to reverse this problem. Keep one or two around your bedroom to improve the air quality so you can get a better night’s sleep. Remember, even if you’re like me and you can’t sleep unless the room is totally dark, you can always turn the lamp off at bedtime. Just leave it on for the rest of the day so it can do its work while you’re awake. People in humid climates should be aware that HPS lamps tend to weep when the salt becomes cool. You’ll definitely want to protect surfaces by placing a saucer underneath and be sure to follow the instructions for use and care which should be included with your lamp! Himalayan pink salt lamps are a great way to naturally enhance your mood or to help you relax and unwind at the end of the day. At the same time and on the opposite side of the coin, HPS lamps are great for improving concentration. Again, this is due to the effect of the negative ions on your body, improving blood and oxygen supply to the brain and other organs, as well as providing a boost of serotonin – the neurotransmitter which makes us (literally) feel happy. 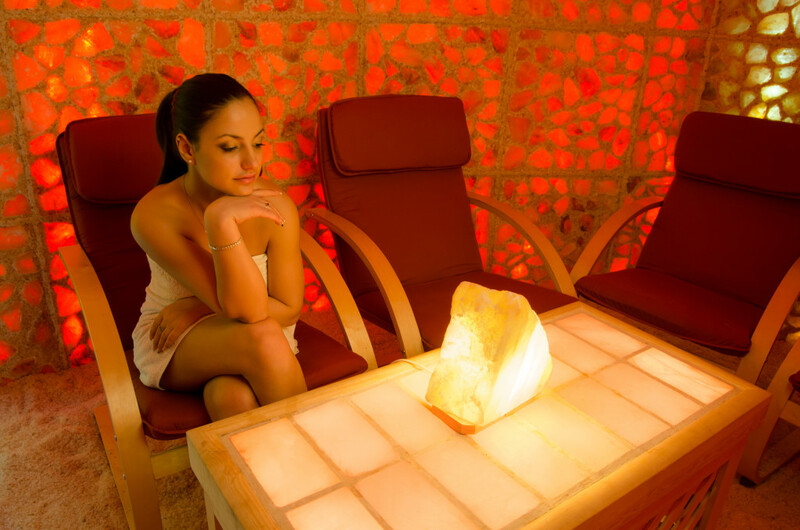 In addition to generating negative ions which improve mood and energy levels, the soft, natural light given off by a Himalayan pink salt lamp is close enough to the warm glow of sunshine that they can even be used to relieve the symptoms of Seasonal Affective Disorder. This year when the days get shorter, fight back the lethargy by surrounding yourself with a few HPS lamps set on timers. While not a “health benefit” at first glance, static is pesky stuff. It causes stress, embarrassment, and frustration. Static zaps you when you least expect it, as you’re reaching for a door handle, kissing your husband or wife before bed, or trying to pet your dog or cat. Last, but not least: Himalayan pink salt lamps are environmentally friendly. While only an estimate, the reserves from which HPS is mined measure somewhere between 80 and 600 million tons and is projected to last for at least another 350 years at the current extraction rate. The base of an HPS lamp is generally carved from a sustainable wood such as neem. Some lamps use a low-wattage bulb which consumes very little energy while others are powered by a lit candle. Where is the best place to buy an authentic pink Himalayan salt lamp?